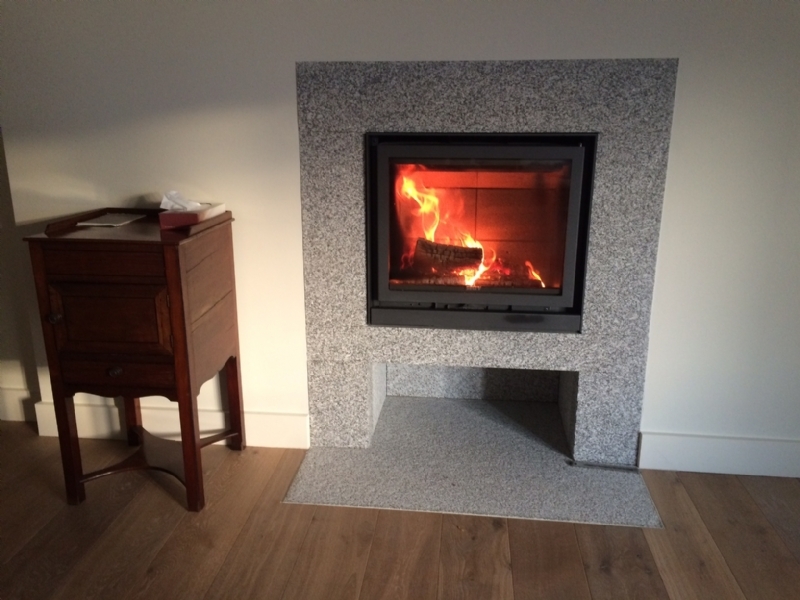 Stuv 16/58 in Bespoke Granite Surround wood burning stove installation from Kernow Fires. Customer Aspirations: An non-intrusive fireplace which creates enough heat to warm the room with a large window for optimum flame picture. 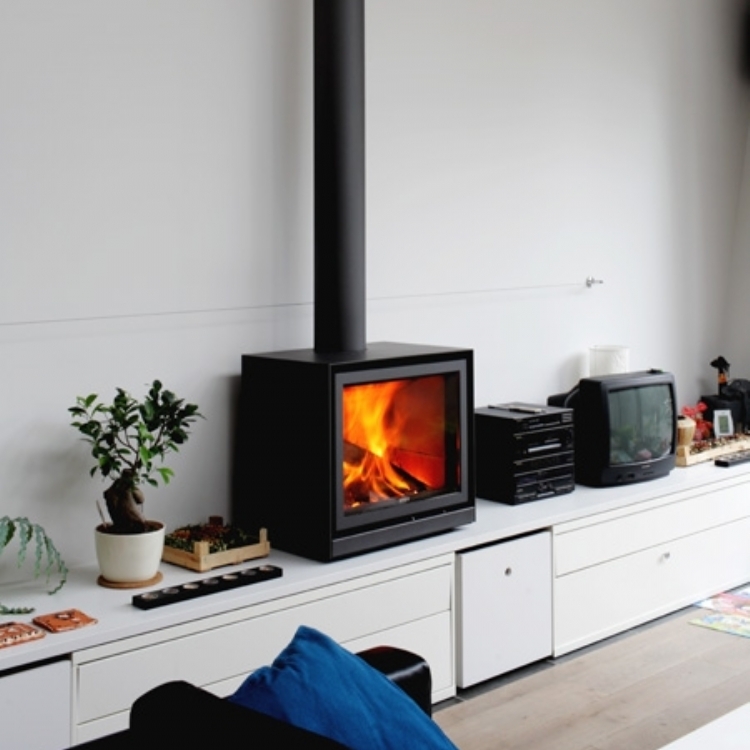 This wonderfully engineered Stuv 16/58 woodburning stove creates between 6-8kW, enough to heat a large room. Its simple granite surround protects the wall from the heat and frames the fire beautifully creating a perfectly sized log store underneath.